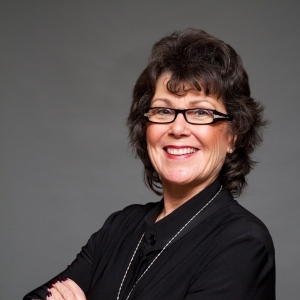 Dixie White has been a full-time professional REALTOR since 1991 specializing in the sales and marketing of homes in Toronto, Markham, Stouffville, Richmond Hill, Thornhill and Pickering. Dixie is a native of the Toronto suburbs who has lived in the area all of her life. She has seen it grow and change and knows it like only a native can. She has also raised her two teenage children in the area and has been very involved with their education and activities. Dixie was PTA President for 8 years and volunteered extensively with the school system. As a result of this association, Dixie has an acute awareness of the needs and wants of families in the area. She knows the schools, the neighbourhoods, the services and the benefits available and is a valuable information resource both for those new to the area as well as to those who are simply changing neighbourhoods. Dixie comes to real estate from a career in Customer Service and Inventory Control with a Johnson & Johnson Company. The attention to detail and communication skills that she honed in this position has been invaluable to the success of her real estate clients today. Dedicated to her community as well as her profession and family, Dixie volunteers some of her time as President of the Vinegar Hill Rate Payers Association, helping her keep in touch with the pulse of the community and the ear of council at Town level. In her spare time she enjoys roller blading, skiing, golf, yoga, reading and exercising. Dixie was names "Rookie of the Year" in her very first year of business and has not slowed down since. She is consistently outstanding her field and has received numerous awards in recognition of her exemplary performance on behalf of clients. The first thing that you will notice about Dixie White is that she loves her job. She is committed to working closely with her clients from the first meeting until final handshake and celebrates every victory right along with them. Beginning by carefully listening to her client's goals and aspirations and continuing throughout the transaction with open and honest communication, Dixie makes the entire real estate process stress-free and fun. "Bringing people together with their dream home is totally delightful," says Dixie. "Real estate isn't about bricks and mortar...it's about people and I like people!" Add to this upbeat attitude Dixie's extensive experience, sound committment to excellence and her market and industry knowledge and you'll quickly see why she is one of the area's favourite real estate professionals. For the best in quality real estate service, call Dixie White today. Dixie is a member of the Toronto Real Estate Board, a professional association which upholds a strict code of ethics and ensures that its members are up to date on the latest issues affecting real estate. Dixie White’s support and expertise were instrumental in selling our house very quickly, and above asking! She guided us from start to finish, sharing ideas and educating us on the best way to sell our home. Dixie kept in touch with us throughout the process, answering all our questions and addressing all our concerns. She handled multiple offers skillfully. Her professional and friendly approach turned a challenging experience into a very successful one. How lucky we are to have chosen Dixie as our agent!